Is your point of sale as innovative as your business vision? Innovative business leaders need the right tools to help them meet their goals. 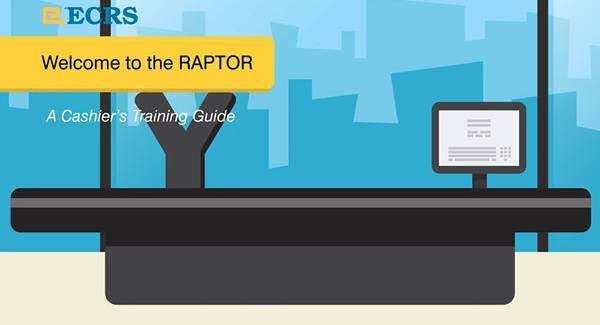 This is where ECRS’ RAPTOR® accelerated consumer checkout comes into play. RAPTOR is not self checkout and it’s not traditional point of sale. It is new Accelerated Checkout® technology that’s changing the game of grocery retail. 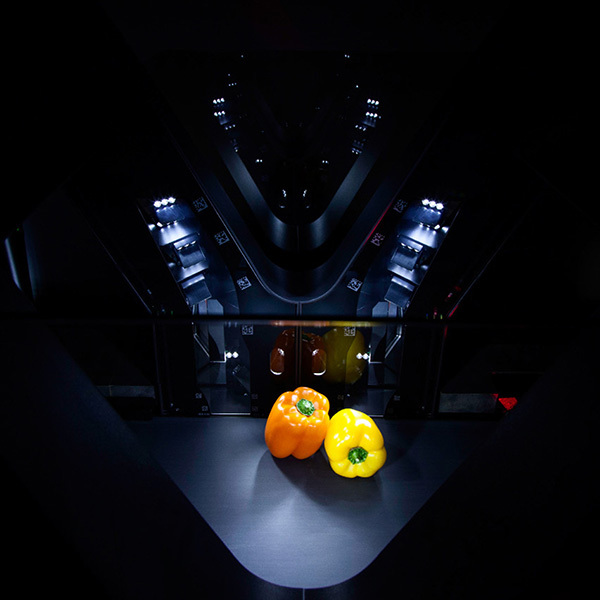 RAPTOR utilizes 360-degree scan tunnel technology, combined with a newly-designed, streamlined cabinet, and advanced CATAPULT point of sale software working behind-the-scenes. RAPTOR is an Accelerated Checkout system, not Self Checkout, providing consumers a checkout transaction that is not only extremely fast, but also convenient. It is thoughtfully designed and well-executed technology that provides a pleasurable experience for consumers, without the frustrations often encountered with traditional point-of-sale and self-checkout. 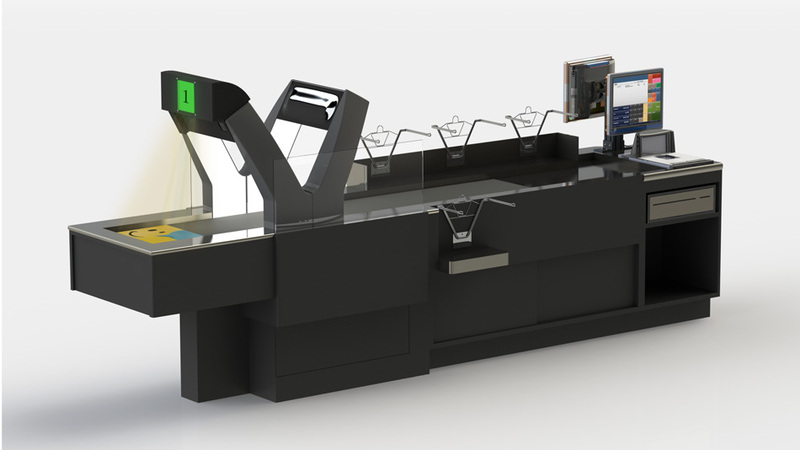 All RAPTOR features are designed to work in concert, for the sole purpose of accelerating the transaction and allowing the attendant to focus on the customer, providing assistance and expert bagging of items. 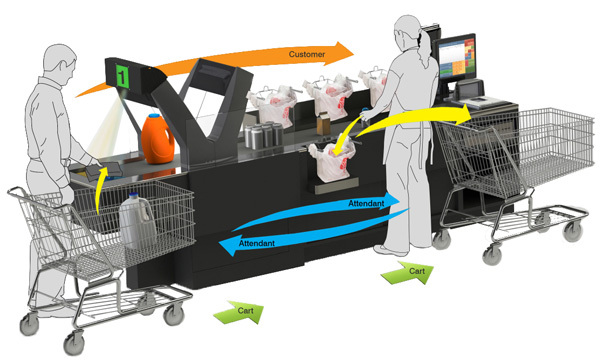 The streamlined flow allows for all items to be bagged before the customer is ready to pay for the purchase. Usability testing has shown RAPTOR to dramatically shorten the overall transaction time by setting a constant ring-rate, allowing the system to process two to three times more transactions than a typical checkout lane. The initial concept for RAPTOR began when ECRS was invited, as part of a select group, to preview Datalogic’s Jade X7 scanner. Following this early preview, the ECRS team gathered for a brain-storming lunch near the airport. Excited by what they had just witnessed, the team challenged each other to completely clear the slate and come up with as many ideas as they could to take advantage of the incredibly innovative new scanning technology presented with the Jade X7. The ideas started flowing immediately, and a simple paper napkin became the starting point for development that would emerge as RAPTOR – a point of sale that dramatically improves the transaction experience for both consumer and cashier. You can read more about the story, but let’s move on to what you’re going to get out of RAPTOR.